Antiochian perspective on the “Holy and Great Council”: Harbinger of Storm or Passage to Calm? You are at:Home»Governance & Unity News»Governance & Unity Essays»Antiochian perspective on the “Holy and Great Council”: Harbinger of Storm or Passage to Calm? Archpriest Patrick B. O’Grady offers an Antiochian perspective on the “Holy and Great Council” currently taking place in Crete. Fr. 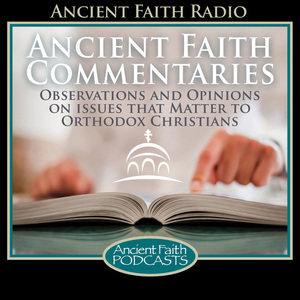 Patrick is the pastor of St Peter the Apostle Antiochian Orthodox Church in Pomona, California, and Associate Fellow of The Antiochian Orthodox Institute, La Verne, California. Harbinger of Storm or Passage to Calm? The so-called “Pan-Orthodox Synod” is about to convene on the island of Crete. It has been promoted with the epithet, “holy and great,” something traditionally reserved for fully ecumenical synods. Despite the hopes, this is now proving to be essentially only a partial Orthodox synod: the primatial hierarchs of some of the Local Churches have arrived and are greeting each other. Others are staying home, “the wind not permitting (them) to proceed” to a fully Pan-Orthodox Synod. Whether this synod will be “holy and great” is not up to the promoters to say ahead of time, but rather in the proof of its actions and substance as received by the Church in her catholic fullness, clergy and laity. So we can assuredly say now that we are talking about a Partial Orthodox Synod. Where do matters stand on the eve of this synod of primates and their select episcopal entourages? As of this writing, four venerable Local Churches have announced their non-attendance, on principle: Bulgaria, Georgia, Antioch and Russia, in the order of the time of their announcement not to attend. The holy Synod of the Church of Serbia had also decided not to attend, but in the end, they reversed themselves with reservations, on conditions which could lead to a walk-out. The Church of Russia is expressing its strong conviction that no synod can be called “Pan-Orthodox” unless every church is present and whose grievances are heard and acted upon. Patriarch Kirill, via formal letter (17 June 2016) to the synaxis now in Crete: …the absence of the Church of Antioch’s consent to convene the Council means that we have not reached pan-Orthodox consensus. We cannot ignore the voices of the Georgian, Serbian and Bulgarian Churches either, who have spoken for a postponement of the Council to a later date… Surely this succinctly states the matter with clarity. Now, the press, along with many commentators (Protestant, Roman Catholic, and even not a few nominally Orthodox), have been touting this Cretan Synod as the first one to convene since the 7th Oecumenical Synod (A.D. 787)! This claim in itself stems from ignorance about Orthodox Church history. However, such claims are ennervating and enthusiastic and must be repeated often! They promise with high hopes the ultimate fulfillment of the grand unification of all Christendom long desired and dreamed of, especially since the Faith and Order movement and the establishment of the WWC in 1948. This reasserted hope has become further widespread with the Roman Catholic Church’s embrace of ecumenism. This embrace is all the more especially underscored since the elevation of Pope Francis a few years ago, and the several encounters between him and various Orthodox primates (chiefly publicized are those with PC Bartholomew and PM Kirill). But the reality concerning such synods is not so striking. How often have Orthodox synods met? When was the last one? Are the winds which are blowing now harbingers of a coming ecclesiastical storm or of the promise of safe harbour in “Fair Haven” (Acts 27:8)? As a member of the Permanent Synod of the Russian Orthodox Church, Metropolitan Hilarion, said in a interview posted on RT (14 June 2016), that if this synod convened as less than a fully attended synod by all the churches, it would prove to be an obstacle to Orthodox unity, rather than a contribution to unity. We have seen it before. The last named “Pan-Orthodox” gathering, then called a “Congress” (Συνέδριον), held in 1923—with the Churches of Constantinople (of course), Serbia, Cyprus, Greece and Romania present in one way or another was also a partial Orthodox Synod. Quite unfortunately for the Orthodox Church as a whole, the 1923 Congress, the last synod at this level to take place before that which is about to convene in Crete, did significant damage to Orthodox unity. The aftermath remains with us today: ecumenistic syncretism with heterodox notions about Man and the Church, the upsetting of the unified calendar of the paschalion with the menologion, the fostering of division and dissent within many of the Local Churches and, chief among all, an increase in the tendency toward political manipulation of our hierarchs. Now, some of the decrees passed in 1923 were not implemented, since the participants knew that they lacked “catholic fullness” (for example, they left open the question regarding remarriage of widowed presbyters). At that time, there was still an awareness that, absent the Church of Russia (then in the first stages of her martyrdom), the church of Antioch and many others, no profound actions could be taken. These would look to another day. It is well-known that in 1961 the preparations for reconvening a Pan-Orthodox Synod started to move ahead. Just the other day, Metropolitan Hierotheos of Nafpaktos and St Vlassios in his message given before his departure to Crete and published through his metropolis (parembasis.gr), listed many Pan- and, indeed, Partial- or even, may I say “merely,” Local Orthodox Synods, down through the centuries, in order to put the aforementioned perceptual error to rights, regarding the periodic occurrence of synods. Some of these synods, even some of the local ones, possess universal acclaim: those of 879-80, 1341-68, 1484, 1590, 1756, 1848, 1872 and 1923. That amounts to more in number than the number of the ecumenical synods of the first century! Of these synods of the 2nd millenium, certainly the 1923 synod has its faults as mentioned above—I dare say, consissting of a cross-wind contrary in the journey toward expressing Orthodox-catholicity oneness. The other synods, cited by their years above, ruled on many issues, some of very great substance, such as the condemnation of the filioque, of the doctrine of created grace (Barlaamism), Protestant errors and ethnic tribalism (ethnophylitism) as a basis for the identity of a Local Church—these condemnations were favorable winds for the Ark of Christ and a storm to the enemy of our souls. Now I come to the heart of my theme: foundational principles of ecclesiology are being violated. This constitutes the heart of the imminent failure and shame of this partial synod now convening. The violation of such principles lies behind the ever-stiffening wind which is blowing contrary to any success or development of Orthodox unity. So, what are these principles? First and foremost, the commandment to love: “this is my commandment, that ye love one another,” said our Master. When fraternal charity suffers between churches, it is the responsibility of the others to labour for a redress of differences and the crafting of solutions to problems. The Church of Antioch has suffered violation of its ancient canonical territory by the Church of Jerusalem in the emirate of Qatar. This is a known fact. The canonical solution to this issue was passed during the sessions of the 4th Ecumenical Synod “for all time to come”: that Arabia belong to Antioch, and Jerusalem would care for “tertia Palestina” (modern trans-Jordan area; de facto, the country of Jordan). Jerusalem, to date, has offered no canonical basis for its interference in the Gulf region; whereas Antioch has had a metropolitan overseeing this area out of Baghdad. All timely and patient attempts of the Patriarch of Antioch to solve this problem and to bring Jerusalem to account have failed. Indeed, Antioch’s repeated appeals to the Patriarch of Constantinople (PC) to lend a hand in settling this issue have been ignored. Late in time, the PC offered to broker a settlement after the Synod. Antioch rightly rejected this as it would involve hypocrisy: how can the hierarchs concelebrate the Liturgy before such a settlement is found? Antioch has broken communion with Jerusalem over this matter of profound principle. The Synod cannot call itself in any way Pan-Orthodox until this matter is settled. The ancient canons regarding the presveia (primacy of honour) of the heads of churches have received far too much attention at the expense of the more practical reality of bishops over worshipping communities. This principle is violated by the promotion of the PC as “first without equals.” This is the language of papism, something abhorrent to Orthodox ecclesiology and practical church ethics. The bishops, no matter the title, ought to represent functioning communities of believers over which they preside as pastors. Titles are adornments to the shepherd, not his identity. Synods professing any degree of ecumenicity (not in the ancient sense of co-terminous with the Roman Empire down to its demise, but rather, in the wider sense of universality) have not limited the attendance of any Orthodox (territorial) bishops. The episcopate is one (solidum, Cyprian of Carthage); therefore, any hierarch, no matter the honorific, possesses the charism of catholic and apostolic grace. This datum is suppressed because of the preoccupation with primacy and honors. Connected with this is the erroneous procedure of limiting votes to one per Local Church—effectively preempting the other bishops of their Christ-given responsibility to rightly set forth (orthotomounta) the word of truth. All of the bishops who preside over communities (not auxiliary, “helping” bishops) have a say in conciliarity. Finally, on principle, the Cretan Synod cannot succeed because the documents are rife with language drawn from secular or, at best, heterodox Christian, conceptions of the construct of mankind (confusion of nature and person), the oneness of the Church (in favour of the branch-theory, the latitudinarian child of Anglicanism), and the facile adoption of civil rights language without a sufficient grounding in the patristic tradition. May we faithful everywhere patiently and with humility and prayer, perfect holiness in the fear of God. I hope my humble statement forms some small part of a constructive way forward for the good of our precious Church. The holy Church is beset with many temptations, trials and assaults. But with God’s help and mercy, we shall withstand them all, until, “passing by with difficulty, we come to a place called Fair Havens” (Acts 27:8).